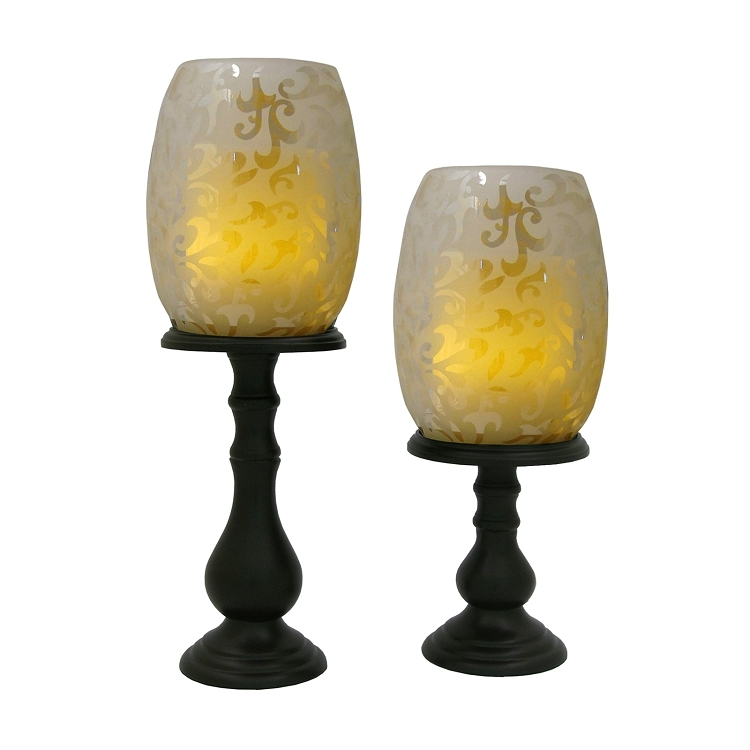 The Pacific Accents Wilmington is a beautiful grouping of two etched glass hurricane lamps and wood pedestals with flameless pillar candles. 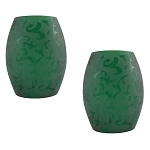 The decorating possibilities are endless with this set. 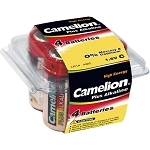 Use it as a formal dining room centerpiece, on your mantle or accent table. 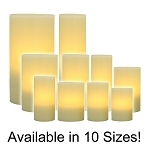 Enjoy the warmth and beauty of the softly glowing flameless pillar candles included in this collection. Each pair of etched glass shades are offered in a variety of colors that rest upon two hand crafted balusters of gracefully turned wood of staggered heights. 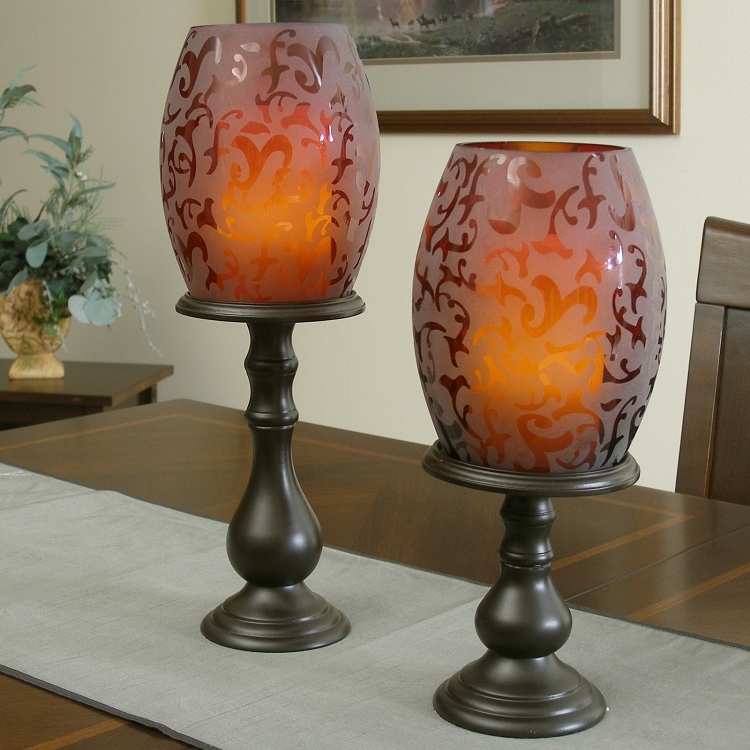 The Pacific Accents Wilmington grouping includes two 3" x 5" white wax flameless pillar candles. 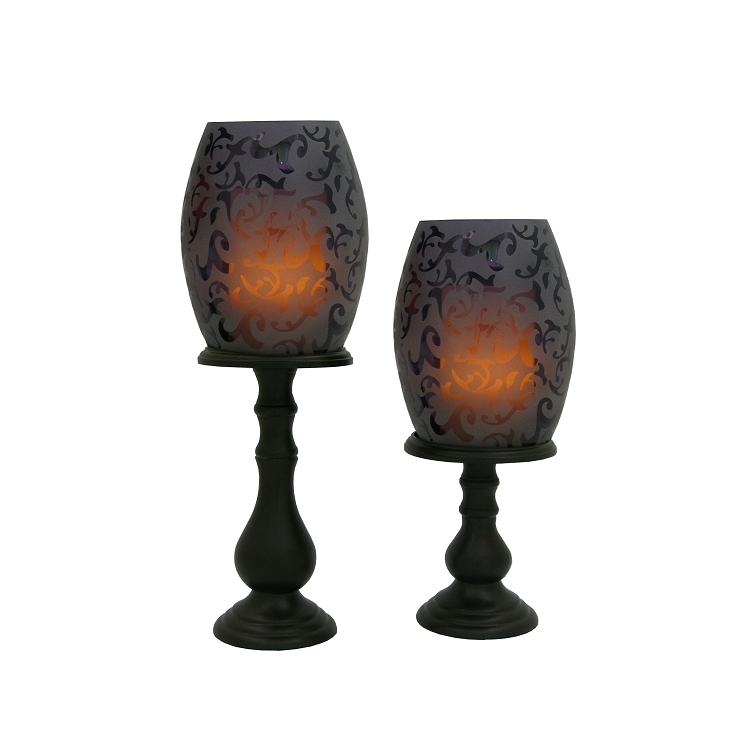 Each shade measures approximately 5" x 7" and includes one 6" high and one 9" high wood pedestal. 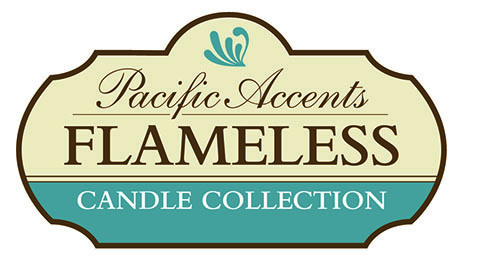 All Pacific Accents wax flameless candles are battery powered, safe around children and pets, and include a 4 or 8 hour daily timer. Decorating with flameless battery powered candles candles means no smoke, no soot, no melted wax mess and no worries due to an open flame. Decorate with safety, flexibility and elegance with the Pacific Accents Flameless Collection by Flipo.